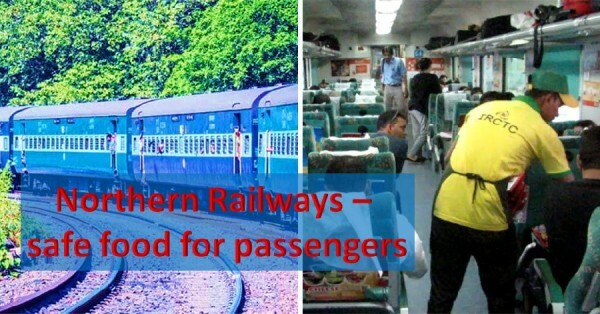 To overcome passenger woes related to poor quality of food in Railways Indian Railways has taken action. To keep the good standard in terms of both quality and fair price for daily food items that are sold at food stalls and trolleys inside railway station premises Indian Norther Railways have recently released a set of instructions that must be followed by all vendors. This is for the betterment of passengers. Both in social media and new papers there were many complaints and articles published in regard to poor quality of food available in Indian Railways. In addition, there are also videos and images showing the quality of food as well as bottle water. According to Railway sources a rise in complaints related to poor quality food being served to passengers, railways have released new guidelines to all food vendors who work for livelihood inside the station premises and local officials are informed to conduct proper checks for verifying whether the orders have been implemented or not. All the local departments recently received official notification regarding this amendment. According to authorities local railway officials must inform the food stall vendors – both stalls and trolley vendors to place a complain book inside their premises. A notice board must be displayed with menu and price for all items along with a complaint number of the board, police control room and commercial department officials numbers. Director of Ludhiana Railway Station Mr. Abhinav Singla recently said “The railway board has issues a set of strict guidelines to vendors and catering service providers, so that overcharging and other issues related to bad quality of food items being sold by them will come down to some extent. Local railways will ensure the proper implementation of the guidelines, and if someone is found not applying the norms properly, then proper action will be taken against the person as per the norms”. With this railways also instructed caterers that all food items sold by them must have FSSAI – Food Safety and Standard Authority of India’s code. This will help passengers to get their services without any doubts and hesitation. In past four years Indian Railways has shown tremendous improvement and generally the minister’s office is very responsive. Passengers can contact toll free number of the Indian Railways 1-800-111-321 for registering their complain against food vendors for overcharging on food items in the station premises. Passengers can also complain on 138 or 182 of the RPF (Railway Protection Force) regarding expired food items. Passengers can bring any incidents on Twitter handle of the Indian Railways for quick attention and action.